Die Formnext 2018 war ein voller Erfolg! Das war die beste Messe, auf der wir je ausgestellt haben. Wir werden viel zu tun haben um die vielen, interessanten Messekontakte aufzuarbeiten. Wir haben viele interessante Impulse für neue Filamententwicklungen erhalten. 2019 wir tolle neue Produkte bringen. Der Messestand ist aufgebaut. Wir sind abgekämpft aber voller Vorfreude auf die Woche auf der Formnext. Endlich ist es soweit. Unser Qualitätsmanagementsystem ist offiziell zertifiziert! Do you need FDMJ-optimized filament according to RAL or Pantone®? We have a huge palette of superior quality filament for you! Looking for a special customized color? We can produce your customized color for you! Do you print large volume models? You can order spools from 320g to 10kg! Do you search for a german manufacturer with a short response time? 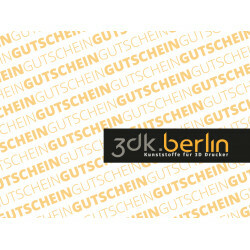 We produce according to high-quality standards near Berlin ! You need special filament for your special needs? Contact us! We are looking forward to develop your solution with you!